MacKenzie & Rachelle just picked out their beautiful chalkboard bridal invitations for their eclectic style wedding. They wanted something that would showcase their style in a fun way and these invitations were absolutely perfect. With a chalkboard background and fun 'chalk-drawn' images of flowers and leaves, these were the perfect way to tell all of their friends and family about their wedding. They were absolutely thrilled when their invitations came in the mail with, of course, matching envelopes and reply cards. These chalkboard bridal invitations feature peonies drawn in a beautiful dusty rose color that highlights springtime and elegance. Another beautiful chalkboard style that you can choose from is for your bridal shower invitations, which feature a 'chalk-drawn' wedding dress on the same chalkboard colored (and styled) background. You'll be amazed at how gorgeous these invitations are and how much style they add to your wedding. And you'll be even more amazed when you find out that they are completely, 100% recycled. That means that not one new tree will be cut down in order to make these gorgeous invitations for your wedding. Instead, you'll get a great look and you'll be helping the environment by supporting recycling as well. And you can do that with all the paper products you need for your wedding because matching programs, reply cards, save the dates, place cards and thank you's are also available. 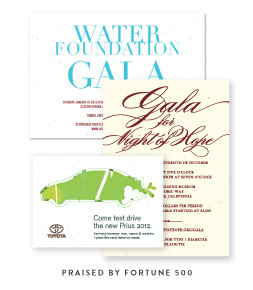 You can personalize these invitations with anything you want to say. So all of your friends and family will be able to see your personality shine through. 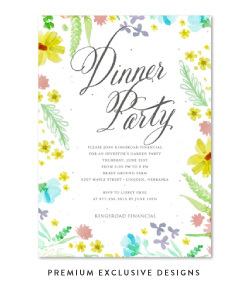 Anything you choose to say will also be written in a beautiful chalk style as well that matches the look of the invitations and adds to their eclectic elegance. And every other paper product you choose to match will be exactly the same. You'll have the same gorgeous chalkboard style across everything you need to make sure everyone remembers your wedding day and your materials will look just like they belong together. When you choose to use chalkboard bridal invitations from ForeverFiances, you'll be getting a 100% post consumer waste, recycled product. 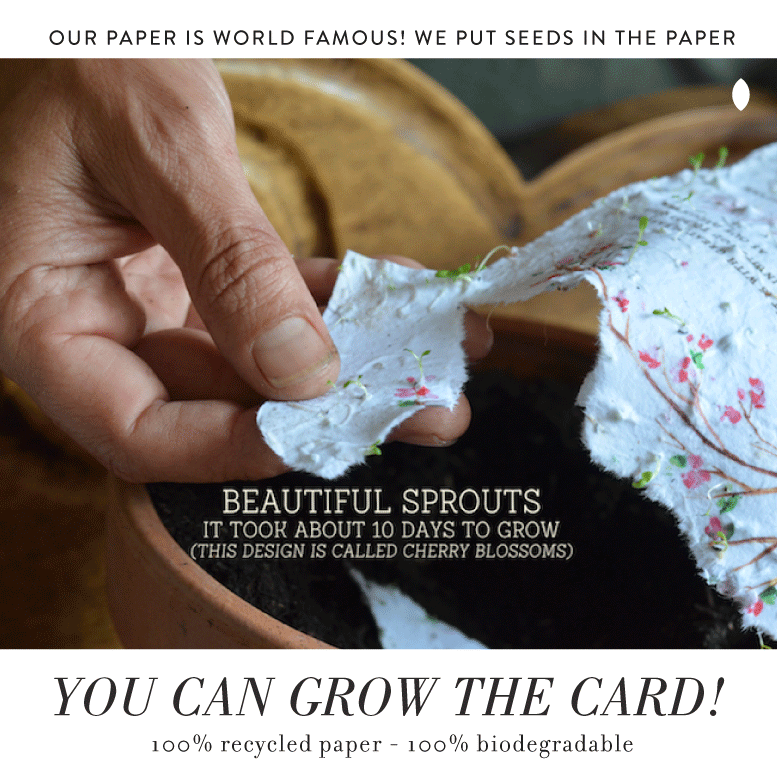 That's the purest and most environmentally friendly paper product that you'll find anywhere and you can use it for your beautiful wedding invitations. So if you're looking to add style and elegance, and save a few trees, then this is exactly what you want for your wedding, just like MacKenzie and Rachelle. Your wedding invitations are embedded with wildflowers seeds, therefore sprout wildflowers 🌼 directly from the paper. Garden herbs plantable papers are also available, embedded with basil or tomatoes seeds for example. 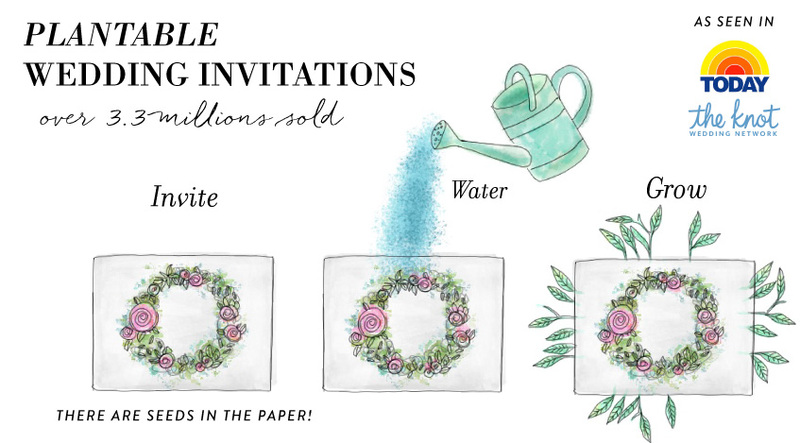 The most awarded plantable wedding invitations in the world. 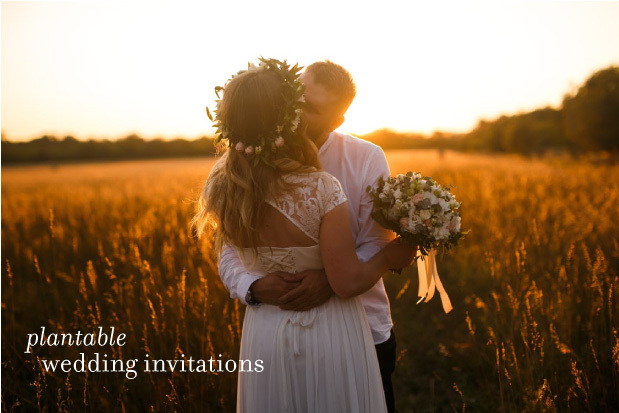 [five stars on WeddingWire and Yelp] Whether your theme envelops the woodsy rustic style of the outdoors, or the beauty of painted scenery you can find the right invitations to showcase it. That's because plantable wedding invitations are available in everything from watercolor designs to organic trees 🌲 and modern themes.